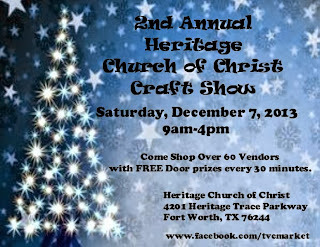 "Come shop over 60 vendors! 90% of the booths will be hand made items. FREE door prizes given away every 30 minutes." For more information, contact their event coordinator, Amber, at info.tvcm@gmail.com / 713-854-1410.